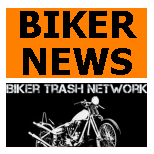 Leesburg, FL, (June 5, 2017) — A couple of jailed Outlaws MC members were indicted Friday in the shooting death of a rival club member during the weekend of the Leesburg Bikefest. 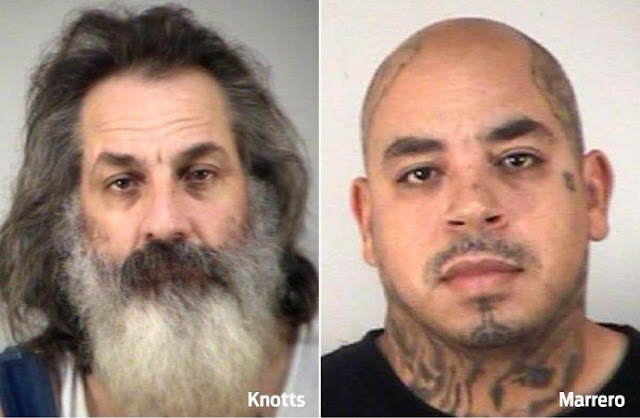 Marc Edward Knotts, 48, and Jesus Alberto Marrero, 35, also were charged in the indictment with principle to capital murder and kidnapping for the slaying of David Russell James Donovan, vice-president of the Kingsmen MC chapter in Leesburg. Hugh Bass, assistant state attorney in Leesburg, Florida who is prosecuting the case, said Monday “through intimidation and fear” Marrero forced Donovan and other Kingsmen out of the store and into the parking lot after the Kingsmen refused to hand over their vests with their club insignias. “The Kingsmen had tried to diffuse the situation and were hoping they could talk their way out of it once outside,” Bass said. Donovan, who went by the nickname Gutter, was shot three times in the back and died at a Sanford hospital days later. Bass is trying to determine whether to seek the death penalty for Knotts and Marrero. Bass said the other three Kingsmen with Donovan were looking around “watching their backs” and didn’t see the shooting. The three ran back inside after the gunfire and hid behind the shelves as clerks called police. One of the Kingsmen later cracked open the store door and shot into the parking lot, striking Knotts three times. Knotts, who was wearing a bulletproof vest, was hit in the back, arm and leg. He was treated and released from the hospital. 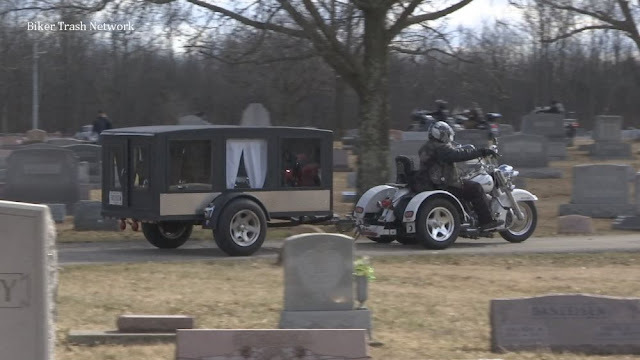 According to a Leeburg, Florida police report, the Kingsmen had gone into the Circle K a few miles west of downtown Leesburg to buy cigarettes when they were confronted by the Outlaws. The Kingsmen were badly outnumbered. The Outlaws apparently declared any club that refused would need to disband, close their clubhouses and cease to wear their cuts, or vests adorned with club patches. Police still are looking for Outlaws members, Angel Torres, 37, and Gregory Alan Umphress, 32, on warrants for conspiracy to commit murder and kidnapping. Investigators believe the man who actually shot Donovan fled afterward. They have not identified him. Citing self-defense, police don’t expect to charge the man who shot Knotts.